I lingered among the aspen trees a little longer on this morning, enjoying the moment and letting the sunlight warm me after a cold morning. 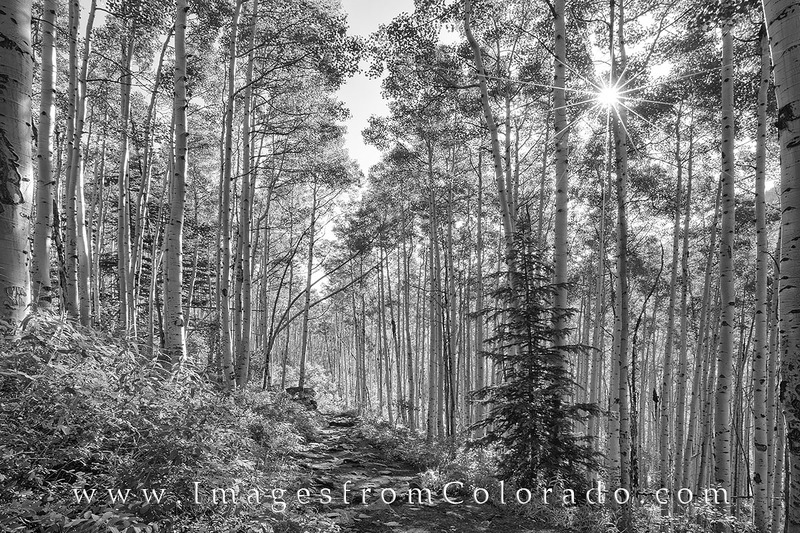 On this trail near Maroon Lake near Aspen, Colorado, tall aspen trees rose high above me, concealing the two 14,000' mountains of Maroon and North Maroon Peak. Photo © copyright by Rob Greebon.